You ever watch those old Marx Brothers movies? 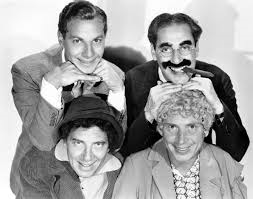 Groucho, Chico, Harpo. 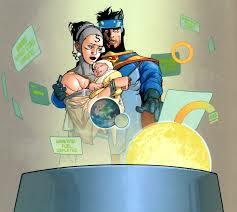 They’re wonderful. Slapstick and droll, filmed in black and white but technicolor in scintillating classic humor, these guys were friends, colleagues, costars, collaborators, comedians and — well, brothers. The family of five (Zeppo was a straight man in a few) and Gummo who worked with the others on stage but never made it to the movies, started together in vaudeville as the Singing Nightingales. Groucho actually aspired to be a doctor, but there was no money for that so became an entertainer. 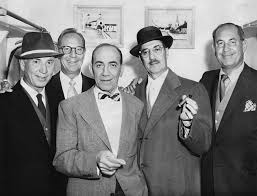 Known as Groucho throughout the world, instantly recognizable for his mustache and ever present cigar, his real name was Julius and he was the head, on screen and off, of this raucous bunch of never-aging hooligans. And, while Groucho’s on screen persona was not much of a sterling example of fatherhood in the conventional sense, Groucho did – much like Oddball’s modified tanks in the quirky World War II dramedy Kelly’s Heroes – manage to get them OUT of trouble at least as fast as he got them INto it. Chico (whose real name, for the record, was Leonard), always featured in his pork pie hat, played the piano — astonishingly well, and humorously. He employed what I can only describe as finger gymnastics. He’d run his hand along the keys, then point and stab at another note, make his hands look all floppy. Yet the music came out beautifully. Chico played the piano by playing WITH the piano. It was almost like a one man musical comedy magic act. If a piano was a ventriloquist’s dummy, Chico was the ventriloquist. 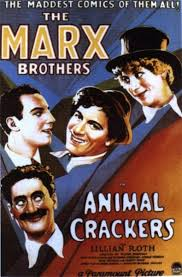 But there was one scene in Animal Crackers that I always found especially charming, and unusually subdued, for a Marx Brothers’ routine. Chico performs a party recital of “Catch a Falling Star” wherein he interjects an interlude after the first line which comes back around to the initial musical line – so he plays it in a loop. 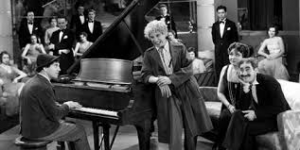 It’s a very funny scene as you watch the audience – primarily consisting of Groucho front and center with the indomitable and ubiquitous Margaret Dumont (who, it was said, rarely understood Groucho’s jokes) at his side – become progressively more bored and annoyed at the seemingly endless cycle of this repeating banal ditty. GROUCHO: Say — if you get near a song, play it. CHICO: I can’t think of the finish. CHICO: You know what I think – I think I went past it. GROUCHO: Well if you come around again, jump off. CHICO: I once kept this up for three days. Which brings me to the point of this post. I’ve kept the series I entitled Back to the Father running for exactly ten times the time Chico claimed to have once been stuck on that musical phrase — one month today – kind of an anniversary. Well, I know how Chico felt. I started the Back to the Father series thinking it would be a one or two part series, but cannot think of a way to finish it. Thing is – there are more examples of Hollywood’s instinctive, though denied, avowal of the irreplaceability of the father or strong father-figure in the home than even I thought there were. And I enjoy finding them. So I have decided to randomly just continue on that theme and point them up when I find ones that I find particularly appealing. 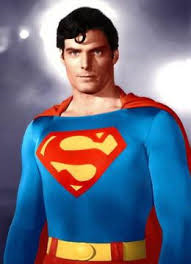 So in keeping with that promise I bring you —- SUPERMAN! 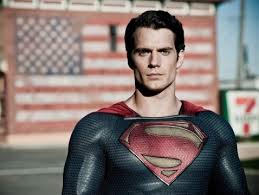 Remade about a gazillion times, from its inception as a comic book to novels, movies, cartoons, this Man of Steel has been an American iconic since the publication of the first comic book in June 1938. 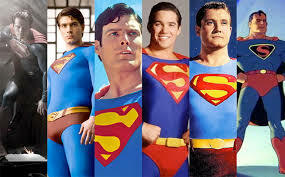 And in all of the manifestations of Superman, from print to film, from the stories starring TVs George Reeves to film’s Chris Reeves (the BEST!!!) 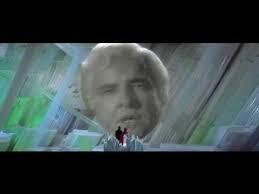 to the most recent inception of Henry Cavill, these Supermen’s father, Jor-el, is the one who must make the decision to send Kal-el (Superman) off to Earth. 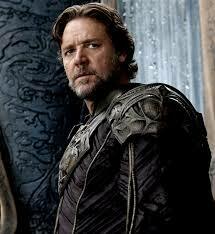 It is Jor-el who the one who makes the hard choice to send his son away to save his life and does so, not only for his son’s sake, but for the betterment of a lesser culture – mankind. The mother, understandably, does not want to let her child go but concedes to her husband’s wisdom: to sacrifice their lives to protect the life of their son. 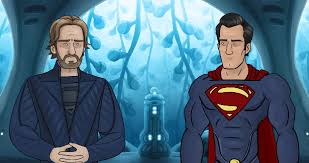 In addition, it is not the mother’s consciousness which is sent to teach, guard and mentor the famous Kryptonian survivor, it is the father’s. Granted this is recognized in the funny animated How Man of Steel Should Have Ended – but it’s never really questioned. Again, for a good reason. 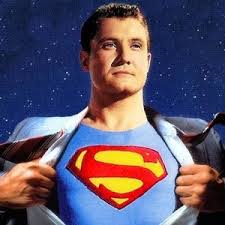 because, while a mom is nice to have around – a son needs a father to become a Superman. I’ll randomly throw in more from time to time, because, unlike Chico, I don’t WANT to think of a finish.